Home Off Beat	Human evolution tattoo! Tattoos showing human evolution through ages are not new to us, but this one is bit different from the rest. 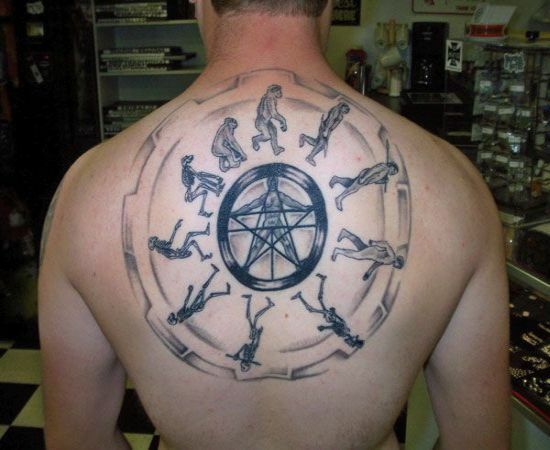 In this tattoo, humans have been shown evolving in a circular form and the middle of the tattoo shows a figure that seems to be somewhat inspired from the Vitruvian Man art. Maybe this guy wants to remind everyone out there that how they have evolved into human beings. ← Torn apart -Skull and a panther!